Electric SA is a fully sculpted (1-1-2-3-4-4) key set with a theme revolving around the electronic symbols that go into circuitry making. It would be made with double-shot ABS plastic in a high, spherical profile. Pretty much everything is finalized, but i'm still open to any fixes/suggestions that could be made to improve the set! Note: I can't make changes until January 2nd, but i'll be monitoring the thread and writing down any possible changes. I really love this design, especially the schematic symbols novelties. Won't it be rather expensive to make that many custom legends though? He really has no ground to stand on here, that resistor symbol that looks similar (ish) to the one from pulse was around waaaaaaaay before he was even born. +1vote. Love this colorway. Definitely will buy this set, if this hapenning. I thought the same thing, but Carbon managed to pull off the same amount (roughly) of novelties in its sets, so I think this should be fine as well. Voted long ago, just stopping by to say I WANT THIS. Go vote please! Wow i guess you're right, carbon warning stripe was only $15. If this set could pull off even remotely similar pricing, I'm all in. Could someone explain what the deal is with the "pixelprecisionnw.com" domain? This is somehow related to Signature Plastics? SP uses a terrible 3rd party e-commerce system for the store and IC system. This is their official site even though the domain name is strange. I'm sorry, I don't know what it is with their crazy site but I can never login, can't create an account, can't order from the cart, nothing. Is there some version of web browser we're all s'posed to be using on the pmk site when we actually want to login? I'd vote otherwise but it just loops when I try to login. I normally use Chrome or Microsoft Edge. Thanks! Store and IC site are separate so you have to make separate accounts for each. I had trouble voting on chrome on my Mac, but had no issue with chrome on android, so I'd try disabling adblockers (if you have any) temporarily. Might also be good to leave them some feedback on the system. Maybe if they get enough complaints they would make it work better? I really hope this set get made. I need those novelties keys in my life. Voted -- would really like to see this one get made. Their new site could be a lot better. What's odd is that the PMK site used to have links to the IC pieces. Now that's not the case. It's a bit of a mess after what looked like a push to improve things a bit. The internatial kit is missing Alt Gr and 1.25U Shift. 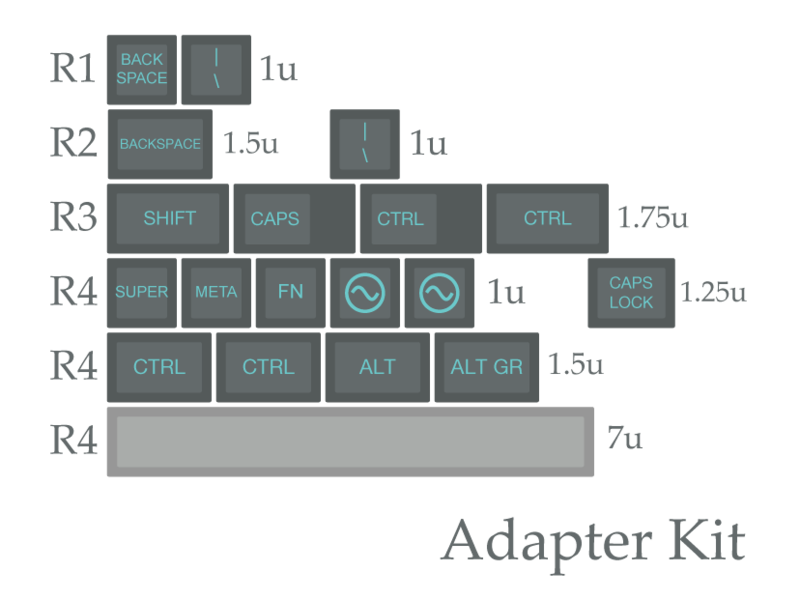 Also the 1U R1 '|/' key for HHKB layout is of the wrong colour, for symmetry you want only the tilde and esc to be dark and not two keys on the right. I would love to vote for and buy this set, but I cannot register an account with PMK. Help Us Buy a Castle! I can't seem to create an account and vote either....I really want this set !! As an Electrical Engineer I would love to have this. I was able to create a PMK account by checking out normally, but not by checking out via PayPal. I have since been able to log in without any issues. 60% kit will be cheaper than base kit? Do you have any clue how much would 60% and international kit cost? There is no 60% specific kit. The 60% layout shown says that it includes the base + novelties + electric symbols. Just the base kit by itself will cover a 60%. As for price, I think thats probably completely up in the air at this point. Having seen the price list from the Dusk set recently, it is EXTREMELY DEPENDENT on the order quantity. Since this is on the SP system, they will decide the quantity to produce based on the number of IC votes and how much they think they can sell. So, they could end up anywhere on the quantity scale. With as many votes as this set is currently getting (90-ish currently), I wouldn't hold out hope for this being as cheap as carbon unfortunately. I just noticed that the 1.75u shift key in the adapter pack is R3. Shouldn't that be R4 like the rest of the shift keys? Otherwise could one be added so that people with a split right shift have the proper profile for that key? Maybe PMK isn't the best option for running this? Seems like the whole interest check process is very strange. This drop needs to happen. Really like the colors and novelties. 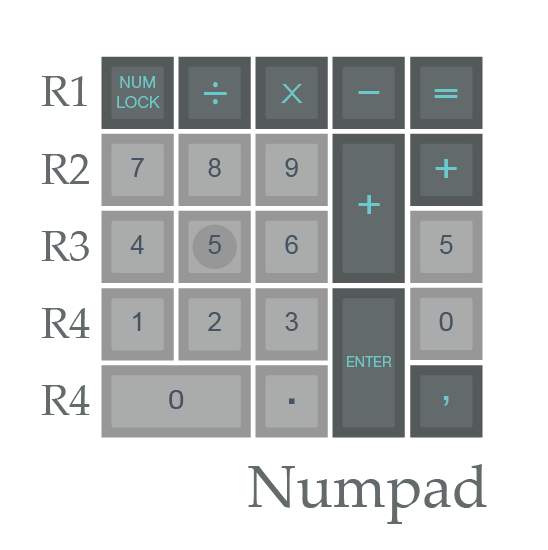 Instead of having just blank modifier keys for the ergodox, can we get the novelty 2U keys that the plank and atomic sets are getting, seeing as they're all the same profile. Even the R4 keys would be so much more preferable to the plain blank sets. Can we get a list of what the electronic symbols are? I took several circuit design classes in undergrad and I don't recognize some of them. Also regarding the symbols kit, Perhaps replace one of the logic gates with something else? The NOR and XOR symbols look a lot alike. 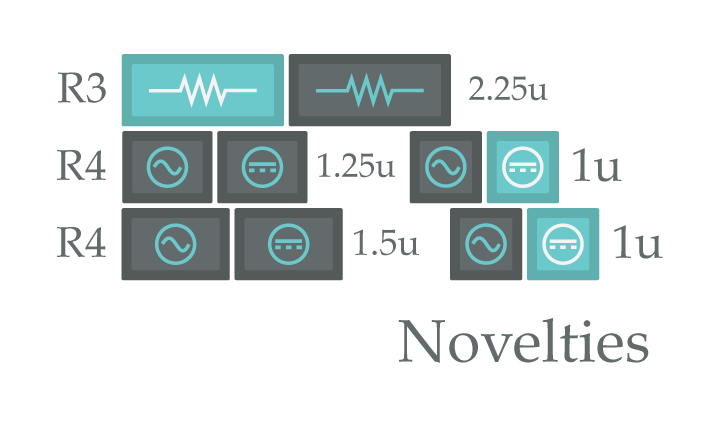 Maybe a MOSFET symbol to compliment the NPN? Which symbol(s) are you confused about? I recognize most of them, and I'm wondering if we're lost on the same few. So I guess the x-box with 4 pins is the only one I'm not sure about. I didn't recognize the same one you don't, and the microphone. I suppose it might be intended as some sort of generic IC? Only need 5 more votes to get it to 100 (although I don't know if that means it'll make it to production for sure)! instagram // twitter // twitch // newsletter // stickers! Yeah, what exactly happens once it hits 100 votes? At least, that's my guess as they really haven't been clear on that. Sorry, this shouldn't be the case as the international kit shouldn't have an ISO enter. 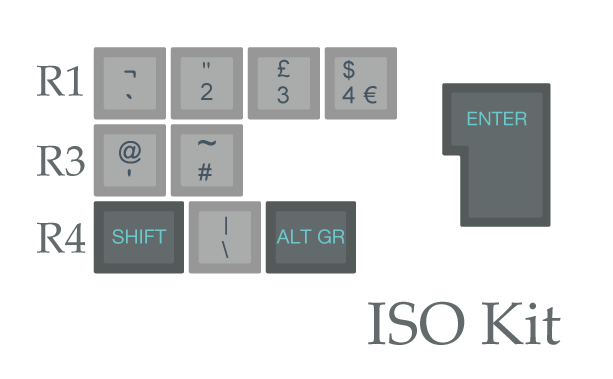 while the international kit can be bought alongside the ISO kit to fill in the rest of the keys. If anybody has a better idea i'm up for suggestions. Sorry about the issues with PMK, hopefully they get things sorted out. That would be a Hall Effect Sensor. I'm not super familiar with electronics my self, I just picked out the ones I knew and filled out the rest with some ones I found on the internet (that I thought looked cool). If I can fit in in, i'll try to get some novelty keys for the ergodox kit going. Okay, as for how the set will get produced, I just recently got into further contact with Signature Plastics and should be able to get into contact with Massdrop soon. Hopefully this means I'll be able to get the set actually produced on Massdrop (which would be amazing!) but as of now I'm not sure what is going down. I'm trying to get the set ran through either method, it just takes awhile through e-mail as I don't instantly get a response. SA tooling is apparently also booked up until around April, so I wouldn't expect a group buy until around then. Thanks for maintaining interest even though I haven't been super active. Yikes, it went from like 97 to 132 in a couple of days, what happened? The Launch Pad feature got posted on reddit. Here's the post by LeandreN. Just found this! Looks super awesome! Page created in 0.106 seconds with 72 queries.